Thank you for the effort Taem but in this Median , the merc itself having some huge self-regeneraion itself which he only can die from high spell damage spell or 1 hit KO spell and continuously high Physical damage barrage which can be counter by using teleport on struck proc. When your merc still alive when u enter a game he is in the Median merc state which is very powerful and having high regeneration but when he died and revived back he in Diablo II merc state which is weak and low regeneration. When he in weak state he can easily die to the point u have to give him some potion u stay alive which is very troubling. Its just to better restart the game or rejoin the game to make him in the Median merc state. 1. Healing a Merc : Does not needed in Median state. 2. Merc Damage : Mostly your merc do damage to normal monster and in median community, pvp is absurd since it does not balanced to fight other hero. 3. Vitality and Mana : Merc dont need it. 4.-Working Effects: Item removed for Prevent Monster heal. Usually u dont take your merc do the all the killing just to get high mf drop by combining your merc mf to the account. 5. High regeneration merc does not need life leech. 6.The critical hit its only 5% which is practically not important because u deal damage to monster not player. 7.The Act 5 merc's normal attack has 2 hits which is why u can see double thunder slam. 8.When merc at max level he in state all max resistance which does not needed any res equipment. 9.Well Poison damage hard kill him maybe because of this. 10.Sorry i dont understand what is BreakPoint and maybe it does not needed for survival capabilty since this is Median. 11.+Skill for merc is useless. Hes dumb anyway. 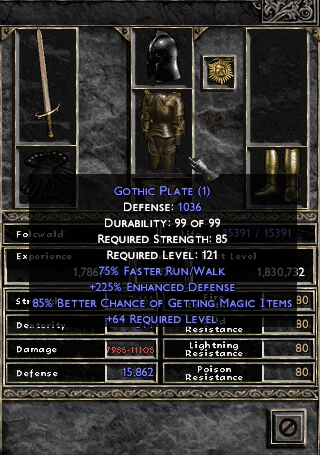 12.-Is LAEK or LL better for this merc/worth MO'ing? I dont understand what is LAEK or LL and teleport on struck in the onthing that worth MO on merc. 13, 119 for sp 120 for mp which u can just see his exp does not increase beyond that. 14. Well the merc cant use skill other than his own skill, so any buff skill on him would be good. Thanks for the reply. I was listing that stuff mainly in case you were interested in adding it to your guide for completeness. I'm already aware of it, so I don't need to know this info, lol. #6: If his attacks are physical based, then that cb% will apply to all his attacks, so if some players wanted to maximize his cb%, its relevant information that the barbarian merc has a base 5% cb. Something you might want to consider adding to your guide. #10: Sometimes, the merc can get stun-locked from taking too many hits at once. Teleport when struck would suffice I guess, however having the lowest FHR would increase his survival substantially. Increasing his IAS for max FPS can only make him attack faster doing more damage. Players that are interested in pursing this for their merc might find those tables useful to see where the break points are. #12: Life After Each Kill / Life Leech. If he regenerates so quickly that this is not useful for him, might be worth noting in the guide. Others have suggested raising his defense and TCD in addition to teleport when struck. Anyway, like I said, its a nice guide as it stands now if you decide not to add anything else. Thank you for making it. Max level is 119 in single player and 120 in the realm. hirelings always stoped at character max level -1 since always . For Ultimative this might have been intended to prevent using XIS RWs that could make hirelings godlike and allow them to do all the fight by themselves . Coldzero wrote: 13, 119 for sp 120 for mp which u can just see his exp does not increase beyond that. xpress wrote: Max level is 119 in single player and 120 in the realm. ChuckNoRis wrote: hirelings always stoped at character max level -1 since always . For Ultimative this might have been intended to prevent using XIS RWs that could make hirelings godlike and allow them to do all the fight by themselves .